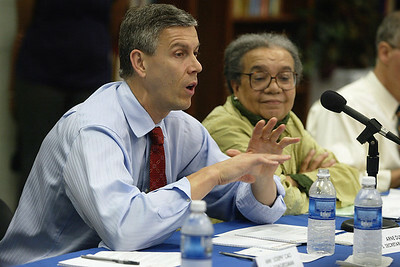 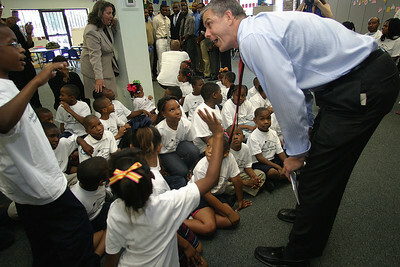 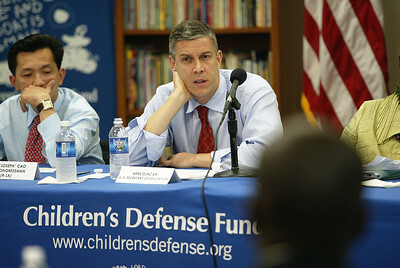 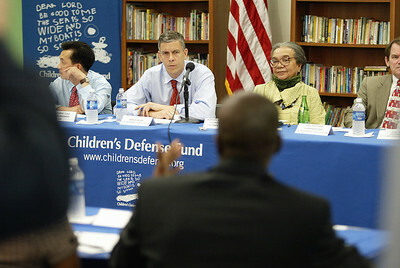 Arne Duncan, U.S. Secretary of Education talks about the impact of Hurricane Katrina on public education as Marian Wright Edelman, founder and Executive Director of the Children's Defense Fund looks on, Friday, May 7, 2010 in New Orleans, LA. 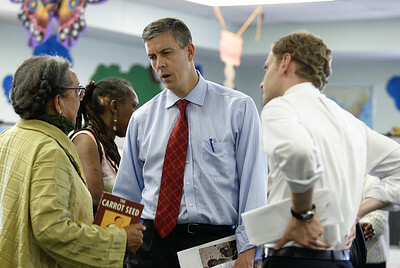 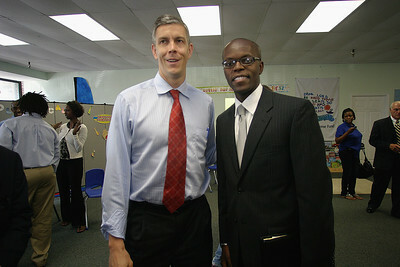 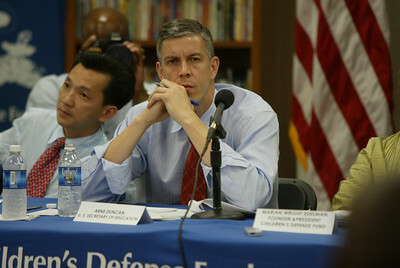 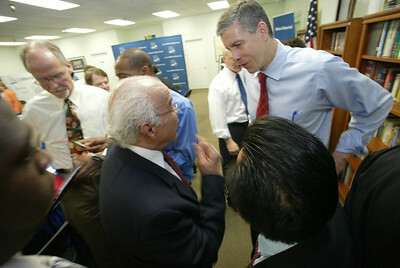 Arne Duncan, US Sec. 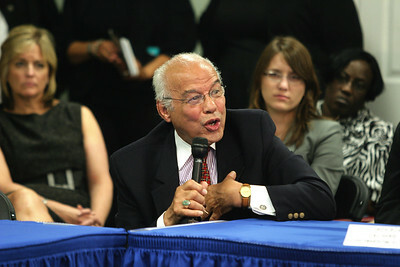 of Education chats with Xaver University of Lousiana President Norman Francis. 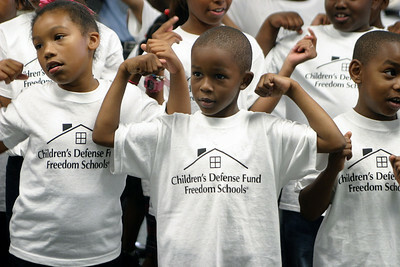 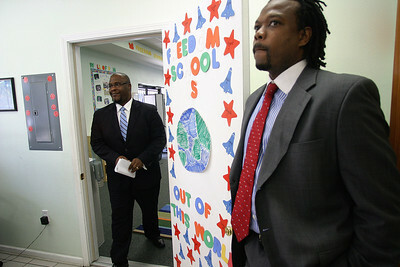 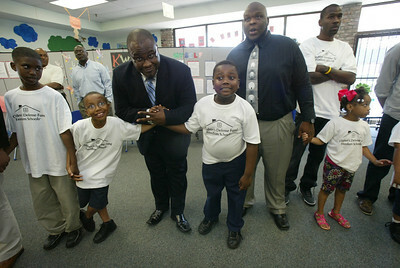 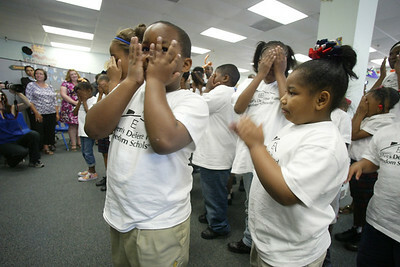 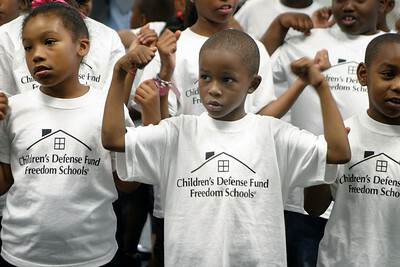 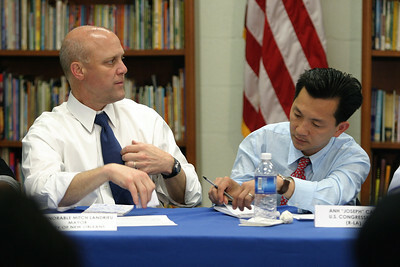 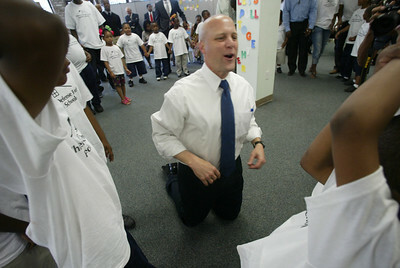 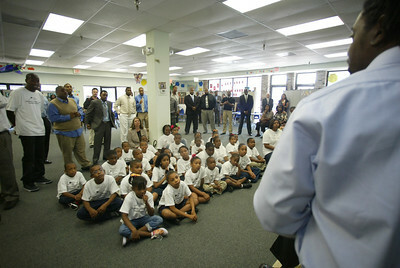 Mayor Mitch Landrieu, New Orleans, La, plays with children from the Children's Defense Fund Freedom School during a site visit in New Orleans, La., Friday, May 7, 2010. 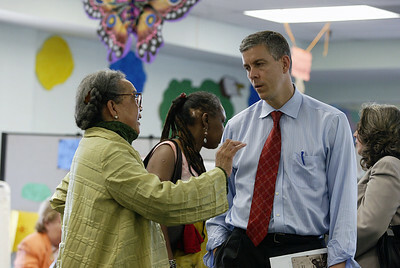 Arne Duncan, US Sec. 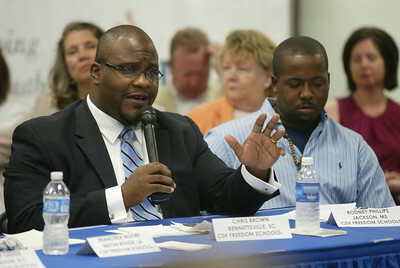 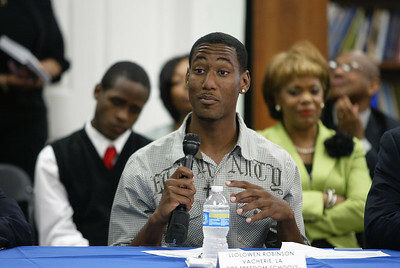 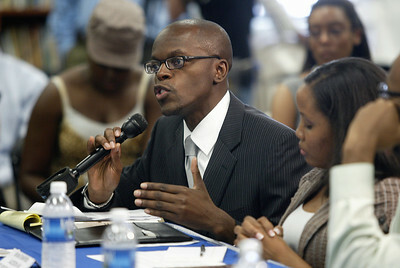 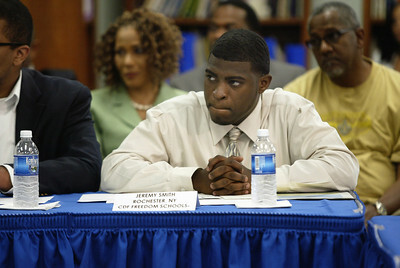 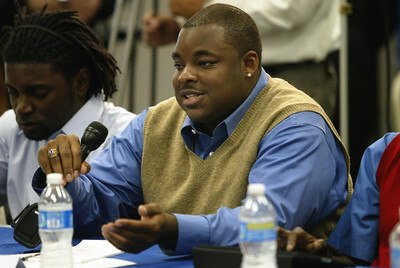 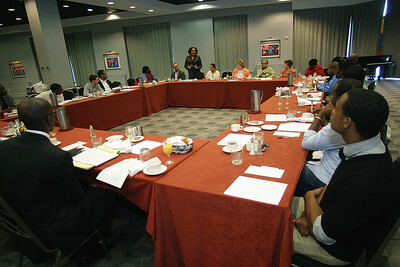 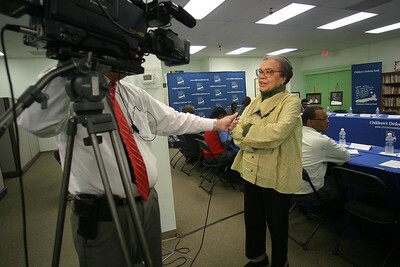 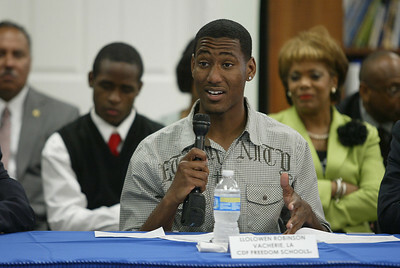 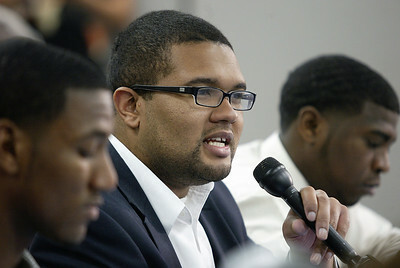 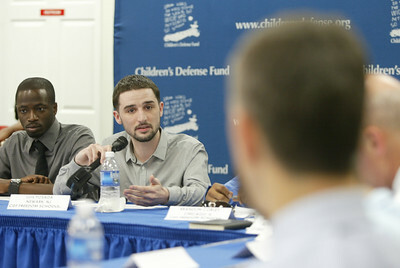 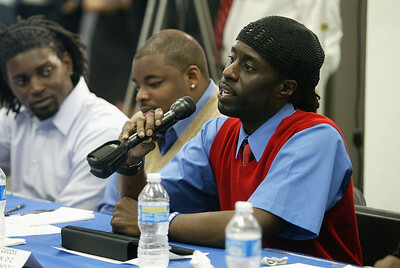 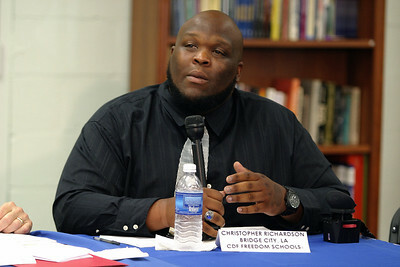 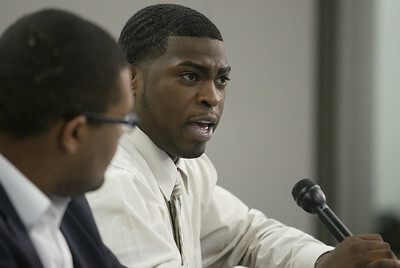 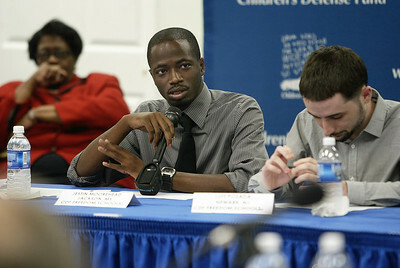 of Education makes a case about the importance finding young African American men to teach in urban schools across the country and Marian Wright Edelman looks on, Friday, May 7, 2010. 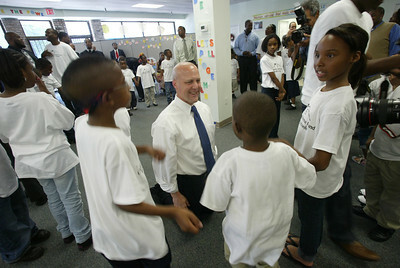 Mayor Mitch Landrieu, New Orleans, La, chats with children from the Children's Defense Fund Freedom School during a site visit. 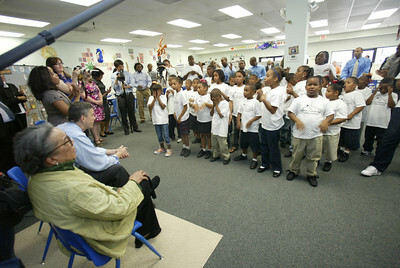 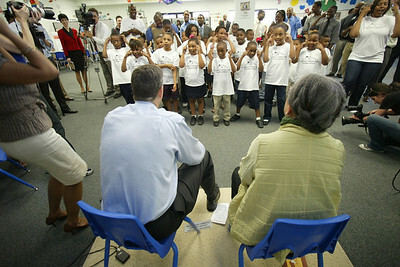 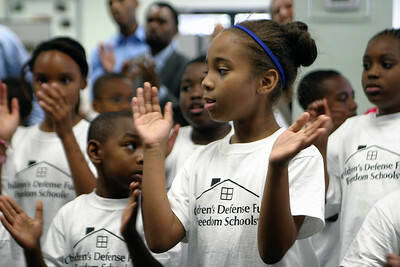 US Sec of Education Arne Duncan, left, and Marian Wright Edelman, right, listen to CDF students sing to them during a site visit in New Orleans, La. 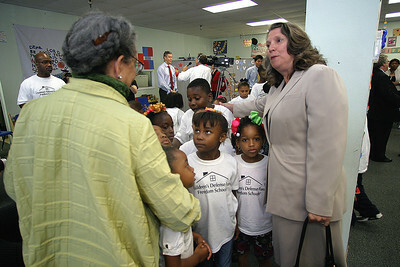 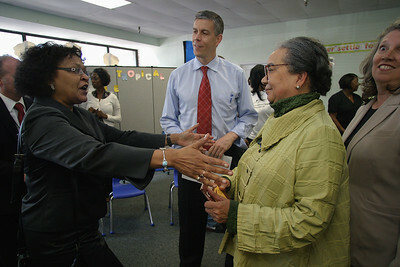 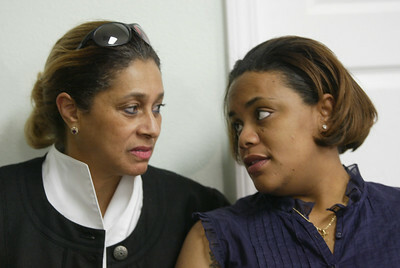 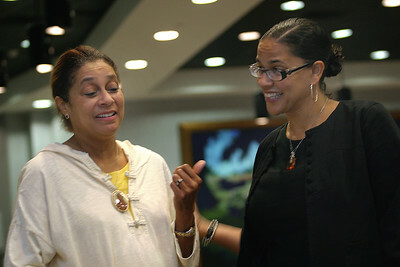 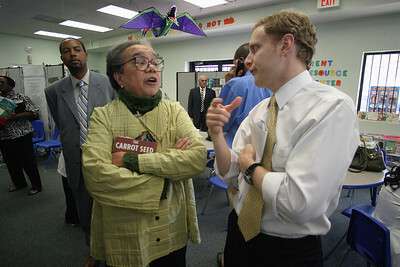 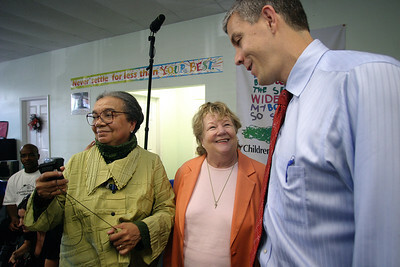 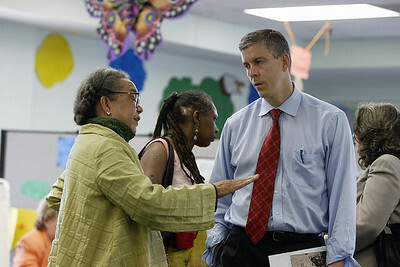 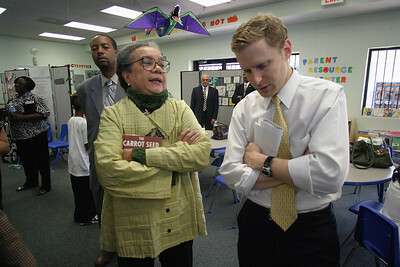 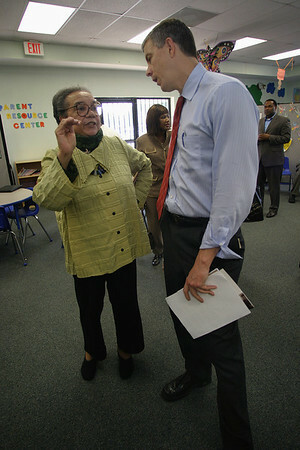 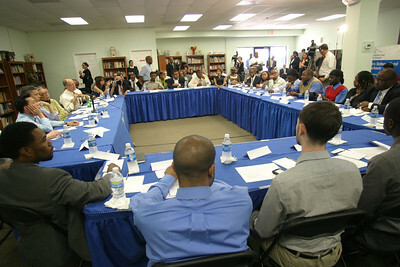 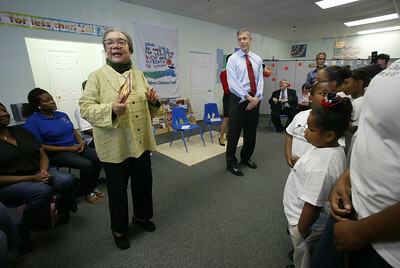 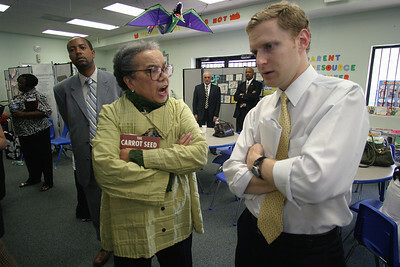 Marian Wright Edelman chats with Arne Duncan after visiting with students from a CDF facility in New Orleans, LA. 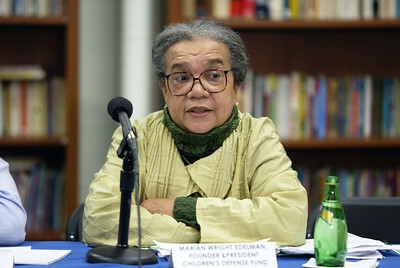 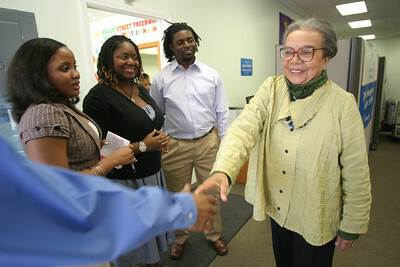 Marian Wright Edelman talks to a group of students about the impact of Katrina on public education in New Orleans and the importance of finding strong role models for young African American boys in urban school systems. 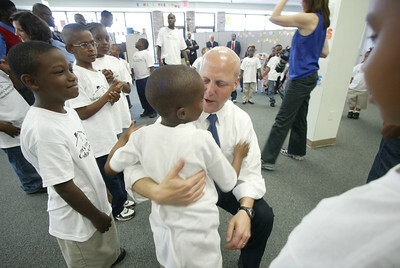 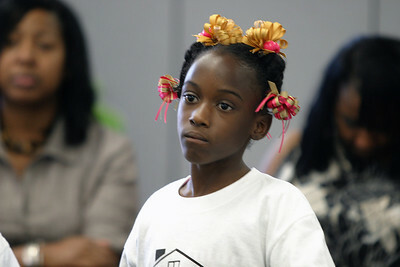 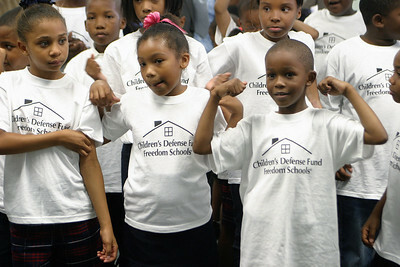 Mayor Mitch Landrieu, New Orleans, La, chats with children from the CDF Freedom School. 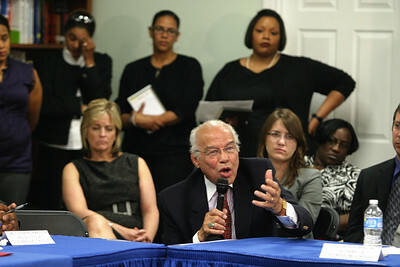 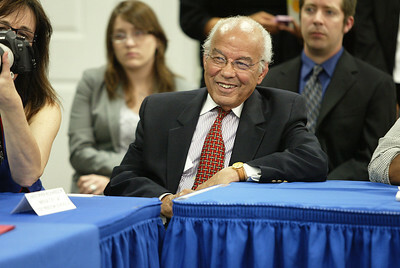 Dr. Norman Francis, President of Xavier University of Lousiana. 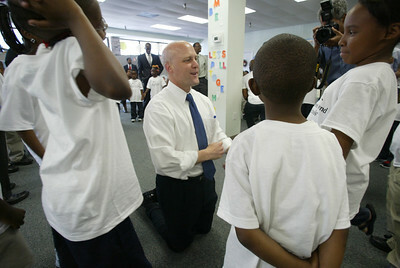 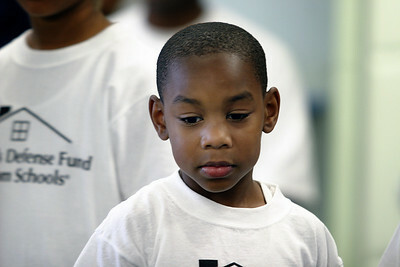 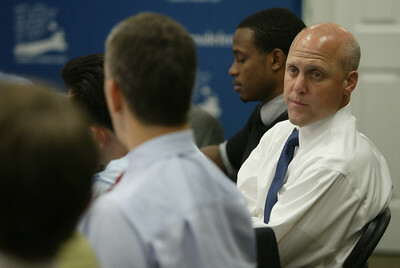 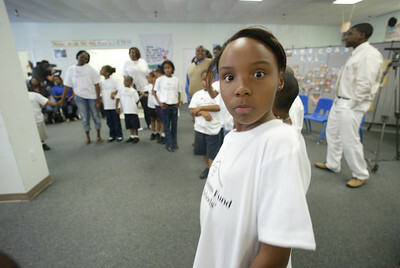 Mayor Mitch Landrieu, New Orleans, La, chats with children from the Children's Defense Fund Freedom School.